Hoi An is the quintessential must visit destination in Vietnam – forget Hanoi, forget Sapa, forget Ho Chi Minh. If you have only one day in Vietnam, go to Hoi An. This little town is just the perfect candidate of what the Vietnam tourism industry is aiming to show the world. Just south of Da Nang lies a magical little town – Hoi An, enticing travelers from all around the world. It has become one of the most popular destinations in Vietnam, and a common mid-stop for those traveling from the north to the south or vice versa. 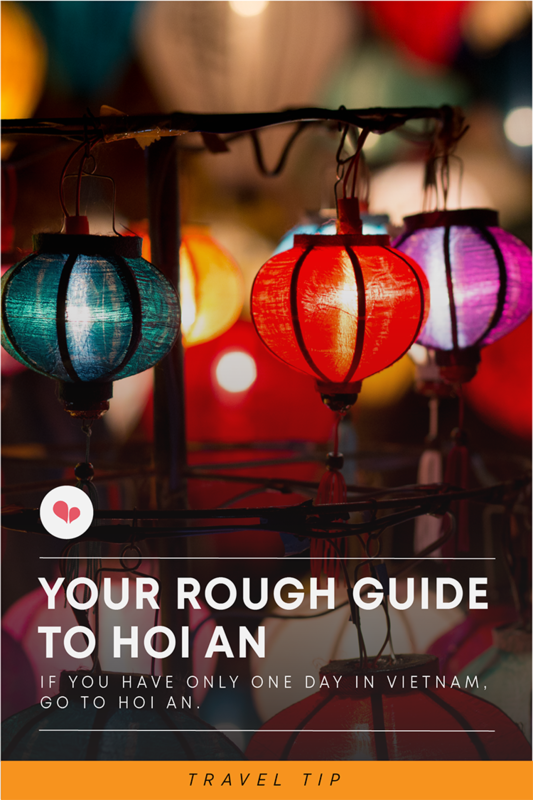 In this guide to Hoi An, I will tell you why Hoi An has become a favorite destination, hoping to tempt you as it has other travelers. I will also outline the best things you can do in the city. Hoi An is the quintessential must-visit destination in Vietnam – forget Hanoi, forget Sapa, forget Ho Chi Minh City. If you have only one day in Vietnam, go to Hoi An. This little town is just the perfect candidate of what the Vietnam tourism industry is aiming to show the world. It’s quaint, traditional – yet never out of touch with the outside world. 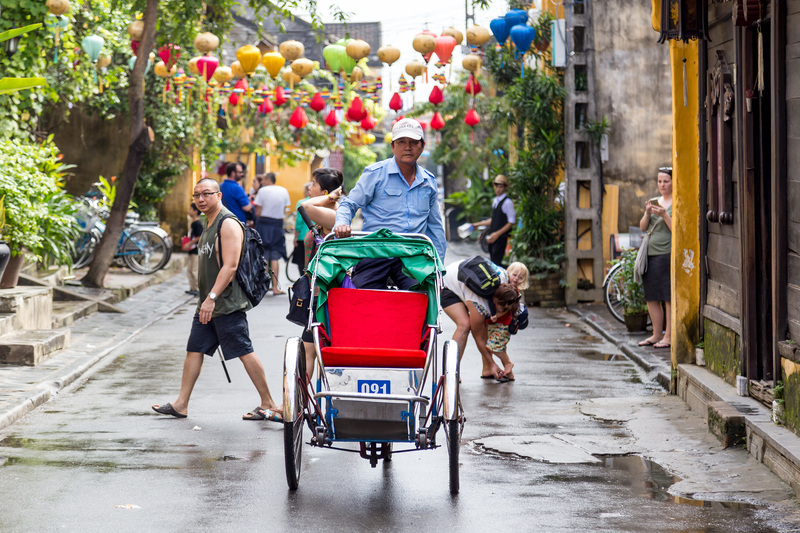 The people of Hoi An are in overdrive mode trying to catch up to the opportunities their newfound fame has recently given them. So, with a bit of modern development, now it has a bit of everything for everyone. 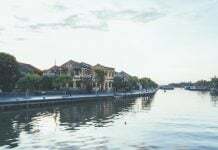 Hoi An has an interesting history that can be traced back almost two millennia to the Sa Huynh peoples, before it served as an important port for the Champa Kingdom that extended over central and coastal Vietnam. The town grew in trade from there and by the 17th and 18th century, it had already become one of the most important Southeast Asian trading ports, harboring foreign traders, especially Japanese, Chinese and Dutch; partaking in all sorts of trades such as silk, china, pottery, and certain spices. 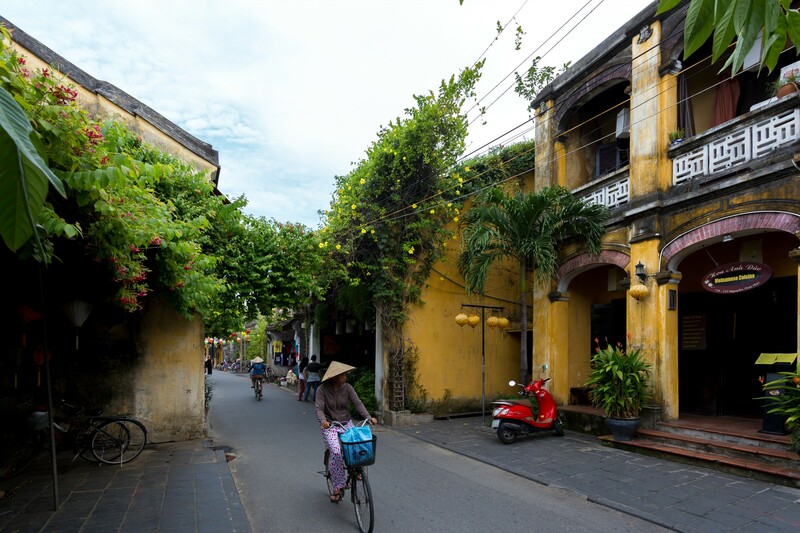 The culture and heritage evident in Hoi An are mostly remnants from the Cham people, however, it has also been majorly influenced by the Chinese, the Japanese and of course, the Vietnamese. Still to this day, few descendants of the initial foreign settlers remain. Their ancestors’ marks, however, are permanently etched into the city, history and culture, and are evidenced by contrasting yet perfectly-blended elements in the architecture seen all around. Pagodas, assembly halls, clan houses, shop houses, and tea houses line the ancient streets and most of these century-old gems have fared well in the years leading up to today. A casual stroll in town will allow you to witness their wonders and step back into a much simpler time. In 1999, UNESCO formally recognized Hoi An Ancient Town as a World Heritage Site. This should come as no surprise – you will soon read and find out why. Hoi An, just like the rest of Vietnam has its wet and dry seasons. When it comes to Hanoi and Ho Chi Minh City, it doesn’t really matter during which season you visit. It is similar to Nha Trang and Da Nang – you will have plenty of activities to do during the wet season and dry season. Unfortunately, that is not the case for Hoi An. Throughout the year, Hoi An has warm temperatures, averaging 29 degrees Celsius, with peak temperatures in June through August. November through January is much colder, but it is not the temperature that is bothersome during these months. It’s the rain. The rain lasts a long time, from September to January. Showers are heavy and constant, and unfortunately, the roads flood – often up to the knees, sometimes even to the head. This year, the flood levels were at a record level high – completely drowning out the ground floor and reaching the first floor of many establishments. Typhoons are also not unheard of in this region, which can result in shops closing and transport within and out of the city to be temporarily halted. The only travel-related pro in this situation is that due to the sharp drop in tourists, you will find accommodation at cheaper rates than usual. Therefore, the best time to visit Hoi An would be during the dry season. The most pleasant temperatures and levels of humidity are during February through April. The beachside is perfect during this time. Lesson to learn: Check the weather forecast before you book your tickets! 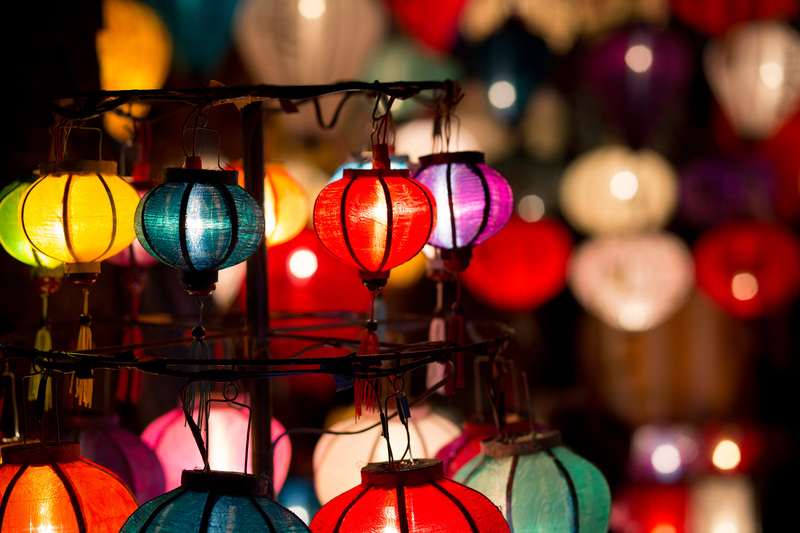 PS: Every 14th day of the lunar month, Hoi An becomes even more charming. The city celebrates the full moon festival and there are displays upon displays of traditional lanterns in the old town. There is accommodation for all sorts of budgets in Hoi An. 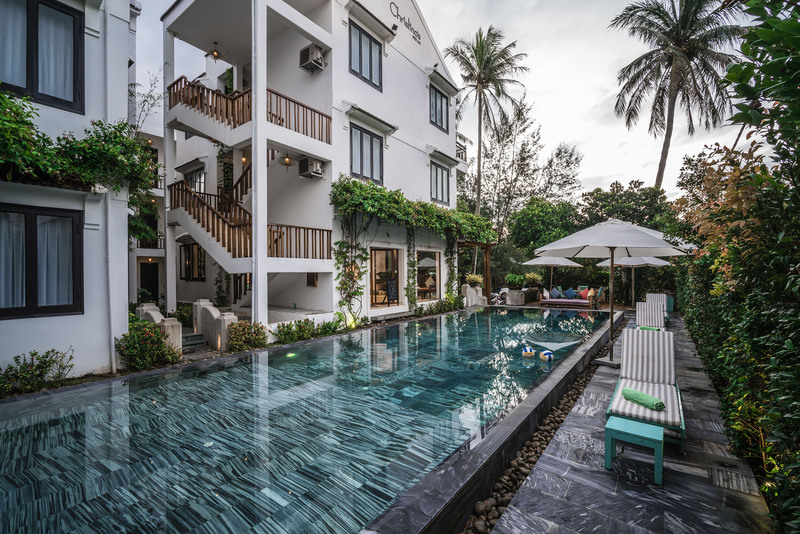 You can expect a range from $8 dollars a night at a backpacker type hostel to $600 a night, at the Four Seasons Nam Hai, probably one of the best resorts in Southeast Asia. The three major locations within Hoi An to stay are either the Ancient Town itself, An Bang beach area, or between those two, in a charming little vegetable village called Tra Que – more details below. If you decide to visit Hoi An in the rainy season, no matter where you stay in Hoi An, make sure you find yourself a hotel built on high ground. Most of the guesthouses north of Ly Thuong Kiet Street are favorable, and most An Bang and Cua Dai Beach accommodations are safe. However, the popular backpacker street, Ba Trieu, is not. This is the flood zone, so avoid at all cost. Book a night at Christina’s Tra Que. If you do not wish to stay in Hoi An itself, Da Nang is a great and much more modern alternative. It is only a 40-minute drive away and many resorts occupy the coastal road to Da Nang from Hoi An such as the Sheraton. In Da Nang there are many seaside resorts or lovely local homestays. It is up to you to decide what kind of experience you desire. 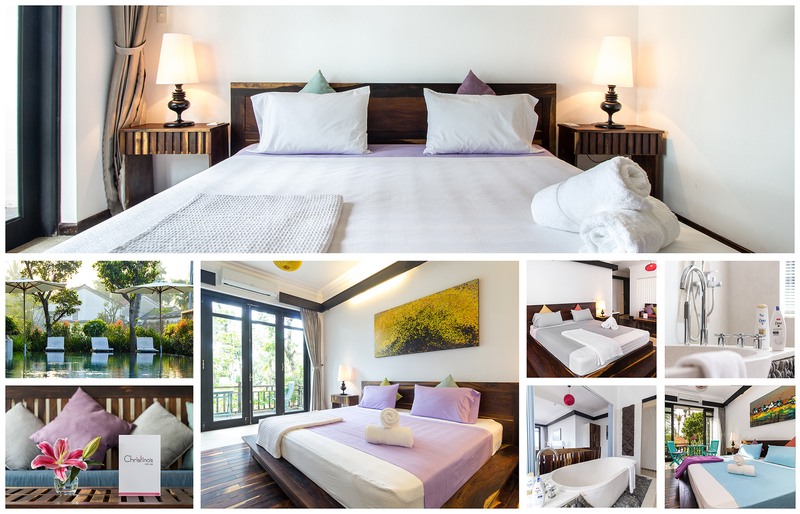 Lucky for you, in addition to having a beautiful resort with a lagoon in Hoi An, Christina’s has 2 Da Nang properties. Check them out here. and Da Nang (My Son Temples, Ba Na Hills, beaches, cafes, restaurants, and a lot more). Starting from the Ancient Town, there are a plenty of things to do. A big part of the visitor experience is to simply stroll through the alleyways, pop into old buildings, admire the architecture, savor a banh mi along the way, cycle along riverbanks and take in the ambiance of it all. To visit the historic quarters you must purchase a 120,000 VND ticket, valid for 24 hours, and with this you can enter any five places (there are 22 points of interest). The proceeds are reinvested into the old town, to handle renovations, fund folk events in the town, and to help families who actually live there. Make sure to visit a few of these, take some photos, and walk around without a particular target in mind. You will find many hidden delights. A list of things to see are: The Japanese Bridge, Tan Ky House, Duc An House, Quan Thang House, Phung Hung house, Quang Trieu Assembly Hall, Trieu Chau Assembly Hall, and Phuc Kien Assembly Hall. There are some museums in Hoi An such as the Museum of Trade Ceramics, Museum of Sa Huynh Culture, Museum of Hoi An, and the Museum of Folk Culture. When you visit these old houses, please be respectful as some families still live on the premises. It may sound invasive, but they are happy to share their Vietnamese culture, and some will even guide you around. 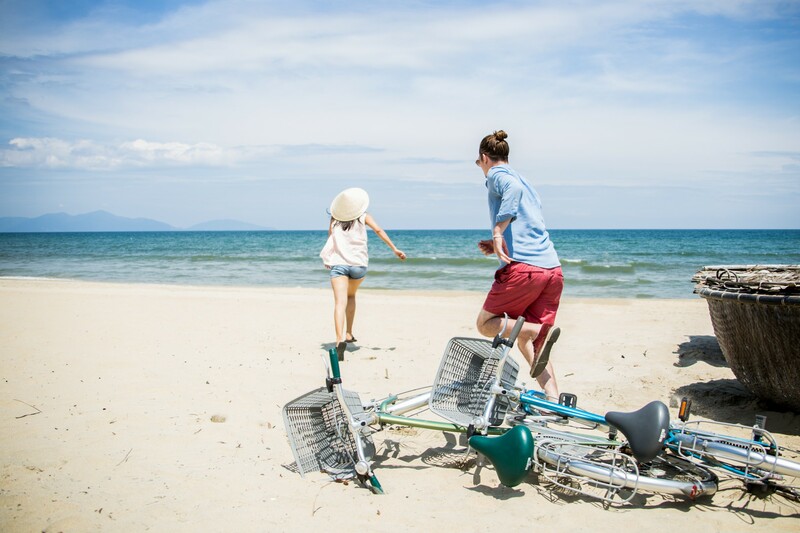 Shopping is another activity you can partake in while in Hoi An. Many shops line the streets and all you have to do is duck inside a store when you see something that catches your eye. You can even buy a few souvenirs for your loved ones back home. Something Hoi An is popular for, is tailoring. The small town and its outskirts have about 200 tailor shops, all vying for your attention. Hoi An, being a central Vietnamese city, has some of the best food in the country. Central Vietnamese cuisine is rich in flavor and spicy. From mobile carts on the sidewalk to upscale restaurants, you can find food to fit your taste. Local must tries are cao lau, mi quang, white rose dumplings, chicken rice and quite possibly, the best banh mi in all the land. Banh Mi Phuong is a favorite haunt of mine and soon to be your favorite too. If you’re tired of the typical noodle soup and rice dishes, you will have plenty of Western options around too. A bonus – every 14th day of the Lunar Calendar, you will be lucky enough to witness Vietnam’s version of Thailand’s full moon party. This event is way more traditional, however, so if you are looking to get drunk on cocktail buckets and wave glow sticks around, then this is not for you. The Hoi An full moon party is stunning. The lantern festival is an age-old tradition that sees the entire town shut off its electricity, and light itself up with flickering candles and multi-colored traditional lanterns. There is no shortage of entertainment – music, traditional dances, feasts, it’s all there. Make sure you try some traditional activities and of course give mooncake a go! The Mid-Autumn Festival falls on the 14th and 15th day of the eighth Lunar Month which is usually September. People celebrate it all throughout Vietnam. Hanoi and Ho Chi Minh get particularly empty for a few days, but Hoi An on the other hand, is the best place to be during this time. 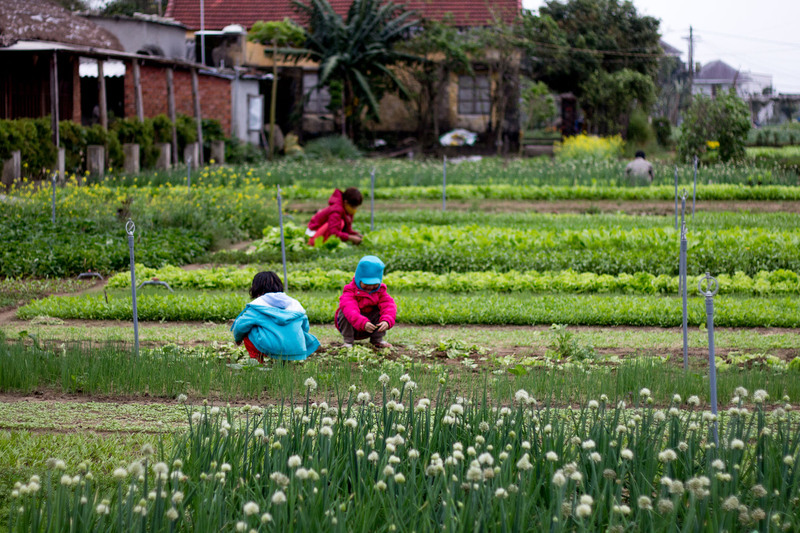 Tra Que vegetable village, about a 5-minute drive outside of the Ancient Town is an extremely tranquil organic vegetable village – the first of its kind in Vietnam. Here you will find rows and rows of colorful greens. All the vegetables and herbs in Hoi An cuisine are here. Farming and fishing are common activities for those visiting Tra Que. Travelers particularly enjoy cooking classes in Tra Que which combine visits to Hoi An Market, and then farming and fishing in the village. The produce and even fish caught will be then used in the meals you will prepare. Here is a great blog entry about a Tra Que Village tour you should read if you are interested. The guys at Onetrip offer a fantastic tour ending with a delicious meal. It’s definitely something I would recommend you do if you have time to spend. If you’re feeling down, both in your stomach and your mind, come to Joi | Tra Que Gardens for a fresh remedy. Our farm-to-table restaurant serves creative modern dishes with a twist on local produce and flavors. What’s more relaxing than having an exotic cocktail and delicious food in the peaceful ambience of Tra Que herb village? 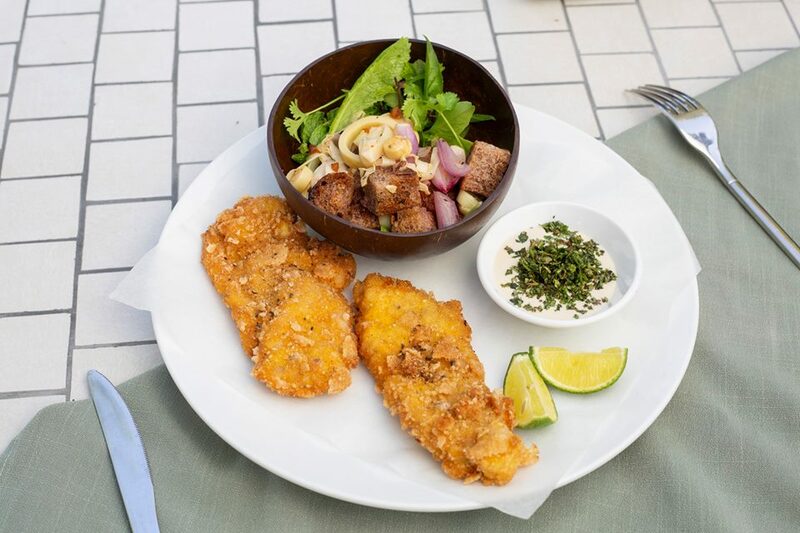 Our Crispy Pork Cutlet with bread salad, pickled cabbage, and coriander fresh from Tra Que herb garden. This will definitely be a wonderful experience that you can hardly find in the metropolises of Vietnam. Joi has one more thing to offer, the kindness from our team of hardworking farmers, passionate chefs, and friendly hosts. Come to Tra Que village and have a taste of Joi! 6 kilometers away from Hoi An is the coastline where you can find beautiful beaches such as An Bang and Cua Dai. These beaches are perfect for sunbathing, dipping your toes in the sand or partaking in some watersports. Plenty of seaside bars are around for you to grab a cocktail and chill in a cabana. Sweet little Vietnamese ladies in conical hats with bamboo poles skillfully balanced on their shoulders will approach you and try to sell you little Vietnamese trinkets or seaside snacks. I particularly love the ankle bracelets and I buy myself at least 5 every time I’m around because I lose them easily. Cham Island is also a close getaway, with even better beaches and awesome diving spots. You can make your time there into an overnight stay or a day trip. 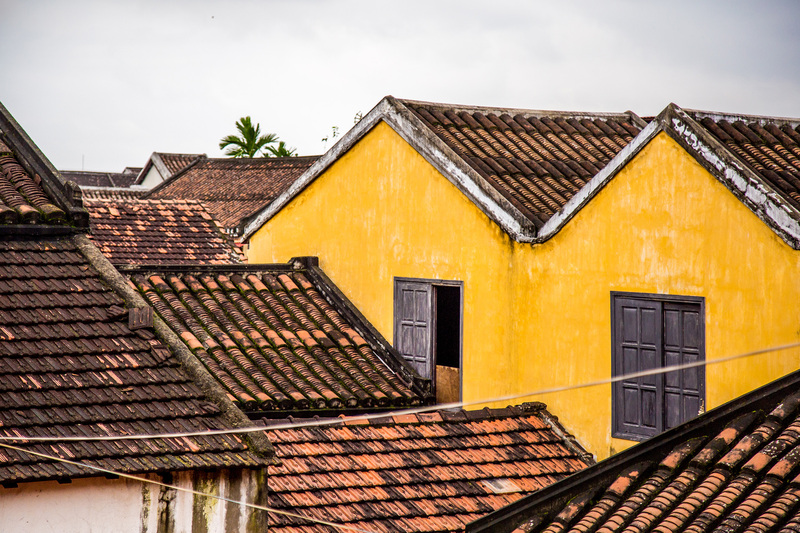 There are a few traditional villages on the outskirts of Hoi An that are worth a visit. The best way to see this is to rent a bicycle or even better, a motorcycle, and explore these yourselves. Plenty of tours in the city also include these outskirt villages, so it is completely up to you how you prefer to see them. There are villages that specialize in a certain activity such as farming villages, pottery villages, carpentry villages, coconut tree villages, etc. Popular names are Thanh Ha Pottery Village, Kim Bong Carpentry Village, Tra Nhieu Fishing Village, and Duy Vinh Sleeping Mat Village. There are many others that do not have names, so just explore and don’t be afraid to say hi and make friends. Everybody is super welcoming and would love to share their talents and culture with you. Maybe even a meal! Da Nang is also worth a mention here. 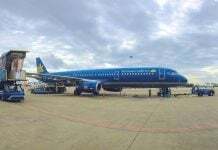 Since there is no airport in Hoi An, you will most likely arrive in Da Nang first. If you do have some time to spend here, then do not waste it. It is a beautiful coastal city – also named as the most livable city in Vietnam. Plenty of beach, sun, and friendly people await. There is no shortage of rooftop bars, cafes, and lively restaurants; museums, markets, and shopping malls too. And then there is also an adventure. Renting your own motorcycle to explore the area is the best. Visit the enticing My Son Temples, or the charming Ba Na Hills, an old French resort built on the top of a mountain. 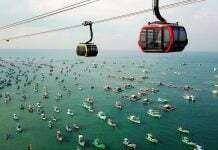 The world’s longest cable car ride will take you up there. If you’re up for a hike, try the Marble Mountains or conquer Son Tra peninsula. 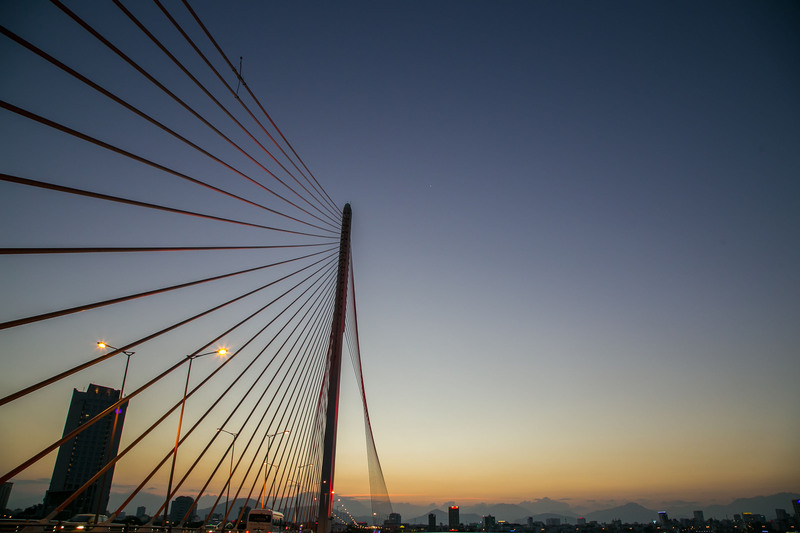 From Da Nang, you can also visit Hue, which is only a couple hours away and to do so, you can take the famous Hai Van Pass. This is a gorgeous, scenic, serpentine road with mountains and coast, that will give you endless photo opportunities. You should do this on motorcycle, however many tours are available too. 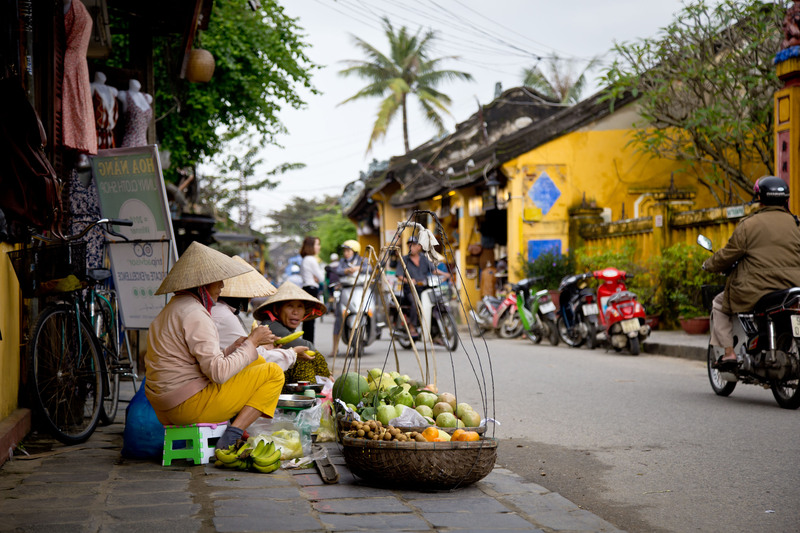 As you can see, Hoi An will be an ideal stopover on your journey in Vietnam. It has beaches, vegetables, and a rich history—not to mention, great food. I hope this article convinces you to visit, and the links scattered throughout hopefully provide you with enough information to develop a very detailed itinerary for yourself. Enjoy your adventure and let me know how it goes in the comments below! I travel too much sometimes. Great post about Hoi An. İt will be very useful for my trip. Thanks for sharig! Hoi An is the sweetest, loveliest and the best place for me in the world. We are very excited about our trip to Hoi An in October 2018. Your blog has been invaluable. We are thinking of staying at the Allegro Hoi An. Are you able to advise if this would be in the flood zone and if there is any construction happening around the hotel.